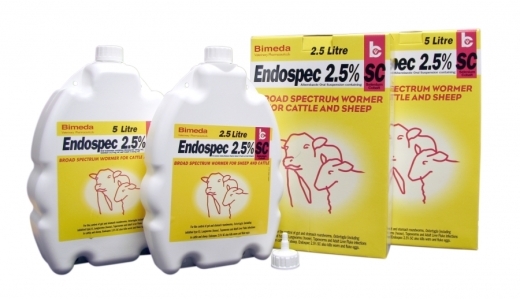 Endospec 2.5% SC is a broad spectrum multi-purpose anthelmintic for the control of mature and developing immature forms of gastrointestinal roundworms, lungworms, tapeworms and adult liver fluke in cattle and sheep. The product is also ovicidal against fluke and roundworm eggs. In sheep it is active against benzimidazole-susceptible strains. When ordering, please ensure you enter FULL name and address, along with contact number in order for our resisdant SQP to contact you, as required by law.